Brand New Nintendo GameCube AC Adapter Power Supply Cable USA! SEE PICS FOR DETAILS! In good shape! Official Nintendo product! 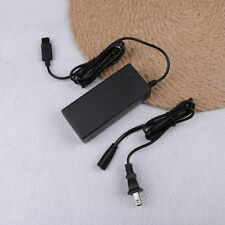 AC adapter has been tested to work perfectly with no issues. Physical condition of the item is excellent with very minimal wear. 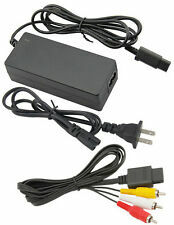 OEM Nintendo Gamecube Power Supply AC Adapter DOL-002 Official Power Cord. Condition is Used. Shipped with USPS First Class Package. 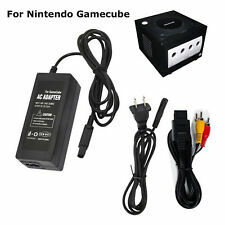 Official Nintendo Gamecube Power Supply Cord AC Adapter DOL-002 Original Cable . Condition is Used. Shipped with USPS First Class Package. Plug and Play. 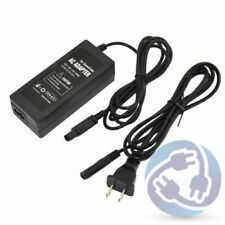 Input: AC 100-240V 50/60Hz, 0.5A. 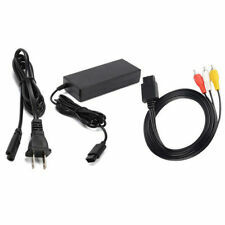 Nintendo GameCube AC Adapter Power Supply & Audio Video A/V Cable. Condition is Used. Shipped with USPS Priority Mail. Tested works. 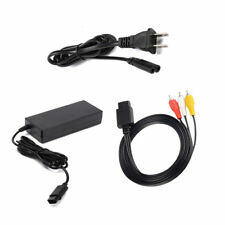 Input: 100-240V 50/60Hz Output: DC12V 3.25A. Made of durable and fireproof material, you can use it easily and freely for charging. Perfect to replace your old or broken adapter. AV Cable Length: 1.8 m /6.0 ft. 1 x AV Cable. US Plug Cable Length1 M / 3.28 FT.
1 x Power Cord (EU Plug). Output: DC 12V, 3.25A. Simply plug and play! By Old Skool. 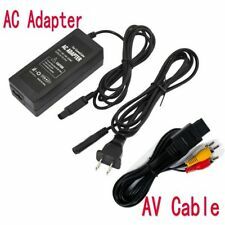 AC Power Adapter & AV Audio Video Cable Set. AV Cable is 6 ft in length. 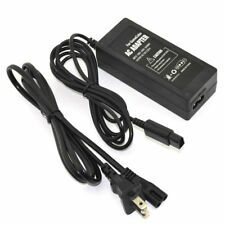 AC adapter Input 100-240V 50/60Hz. Our sales manager will leave you positive feed back once you have left positive feed back for us. Official Nintendo Gamecube AC Adapter, Tested! Looking for more?. 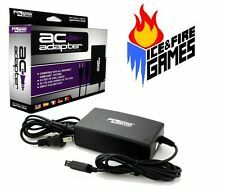 AC Adapter has been tested and works great! Made of durable and fireproof material, you can use it easily and freely for charging. Perfect to replace your old or broken adapter. AV Cable Length: 1.8 m /6.0 ft. 1 x AV Cable. Adapter Cable Length: Approx. Excellent condition, tested and working. ( COLOR AND DESIGN OF THE BOX MAY VARY). • This item is in preowned, working condition. There is very little wear on the item from use but otherwise the cord is in very good condition. Type: Power Adapter. Location: #Z40 Pull Brick & Cord. AV Connection: Not Applicable. Condition: New. 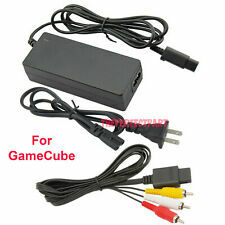 Used OEM Nintendo Gamecube AC adapter. 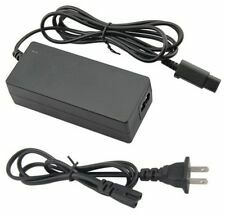 OEM original Nintendo GameCube power supply. Tested and works fine. Thanks for looking! Coord is in good condition and has been tested and works.